Property for sale in Josselin, France. 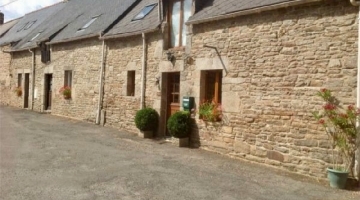 Properties Josselin. Josselin is picturesque town with supermarkets shops, banks, hospital, and usual town centre facilities. It is a short walk from the Nantes-Brest canal, ideal for cycling, walking, angling and sailing. Centrally situated for good access to coast resorts and other main towns and cities in lhe region. Journey times: Rennes and Dinard airports both 60 minutes, St Malo ferry port 70 minutes.